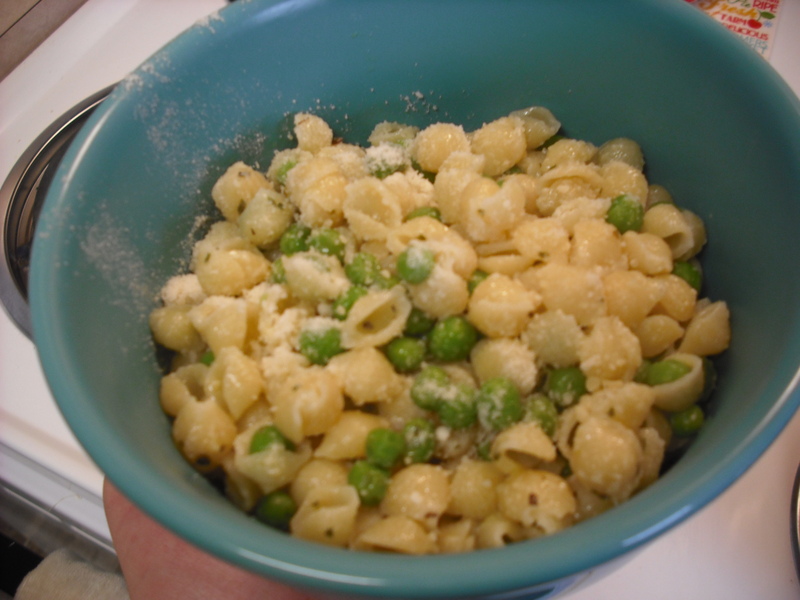 “Pasta and Peas” is a dish that Spencer asks me to make a lot… we’re talking at least once a week, if not more. But I don’t mind because it is super easy and quick to make! Just take a minute to look at that giant bag of pasta… we are talking 10 pounds of pasta here, in this one bag! Spencer and I found it at our local Cash and Carry… we are seriously not going to need to buy pasta for months. Here are all the ingredients you will need for this quick dish. We have this for lunch, we also eat it for dinner.. it’s good all the time! Normally we use olive oil instead of butter, but we ran out of olive oil and Spencer was really wanting some of this pasta. The substitution works just fine, but it did taste a little different… we prefer the olive oil. So to make this dish, it’s really very simple. And I’m sorry, but I don’t measure out anything in the recipe… you season it to your taste really. 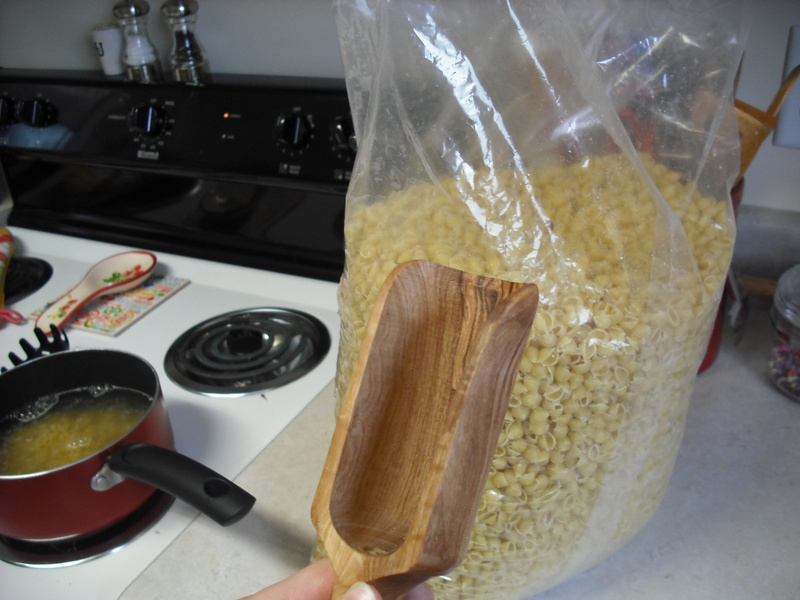 – Prep your pasta per it’s directions. – Cook your peas per their directions… I usually use frozen peas and microwave them in a bowl with water for about 4 minutes. 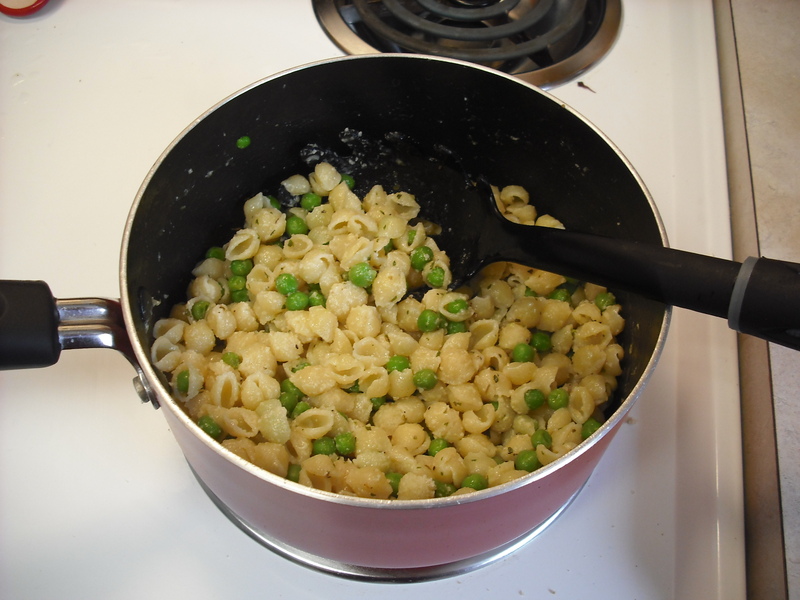 – Once the pasta and the peas are done cooking, drain them and combine them in the same pot. 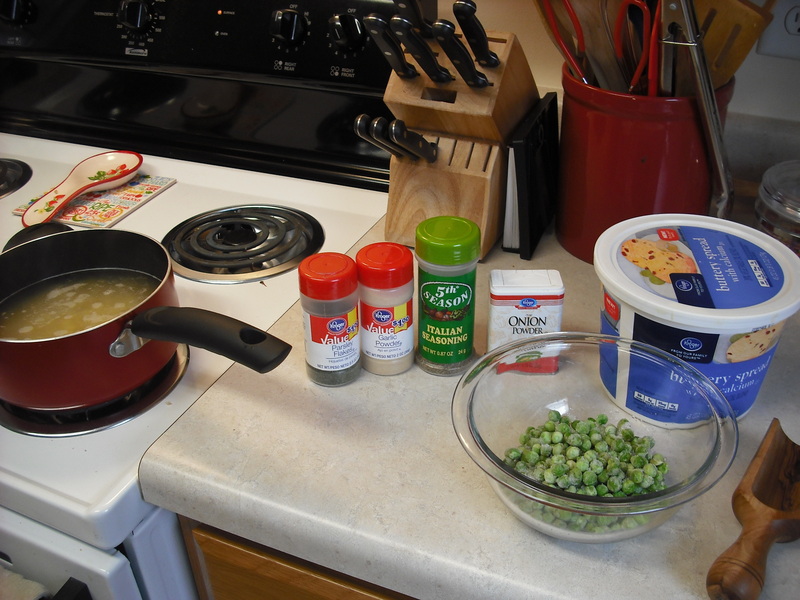 – Add enough olive oil (or butter) to coat the noodles and peas. – Add onion powder, garlic powder, parsley, and Italian seasoning to taste. Basically pour enough of each ingredient in to cover the noodles with flavor, I really like garlic, so I tend to go a little heavier on that and use half as much onion powder. – Sprinkle some parmesan cheese on top, give it a good stir! -After I dish out the “pasta and peas” I always add more cheese to mine, I love cheese! This recipe really is super easy to make, and I just kind of stumbled upon it by just adding ingredients I knew I liked. I made this for the longest time without adding peas to it, which tasted great too.. but as soon as I added peas it because that much better! You could definitely sub out peas for broccoli or asparagus too. When is asparagus season? Because we love asparagus, it’s just always expensive when not in season. Enjoy your pasta and peas!